I’m currently putting together a test automation framework that will handle both UI and APIs for some new development my company is starting. Rather than start from scratch, I’m leveraging open-source libraries like Thucydides. One of the framework requirements is to be able to verify responses from REST services using Java and BDD. One of the open-source libraries that I’ve found meets all our needs is REST-Assured. 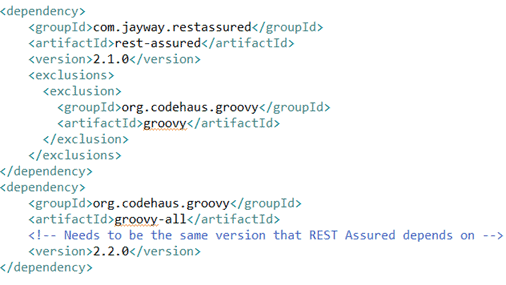 Let’s take a quick look at how to get started using Rest-Assured in Java with Maven. 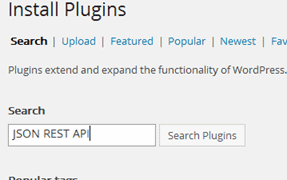 First, we need an application to test in which we can use both UI and REST APIs, so we will install a local copy of WordPress on our machines. 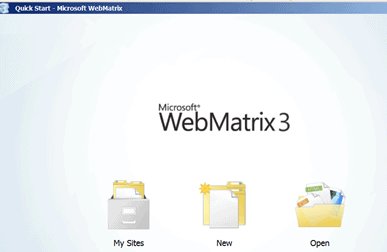 This is actually pretty simple when using Microsoft WebMatrix, which makes it easy for anyone to create a local WordPress site. 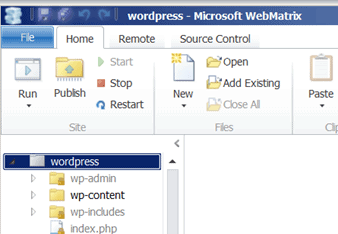 It will automatically install all the things that WordPress needs to run locally on your machine. 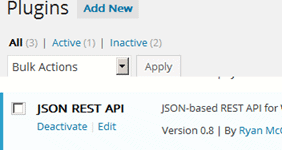 Next, we need to install a JSON API plugin which we’ll use to interact with WordPress using REST-Assured. 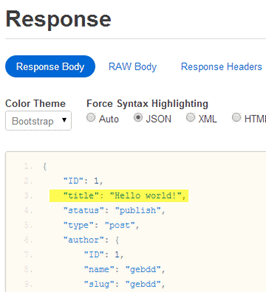 Once everything is installed, you’ll probably want to do some ad-hoc testing to become familiar with what is returned in the WordPress JSON response. 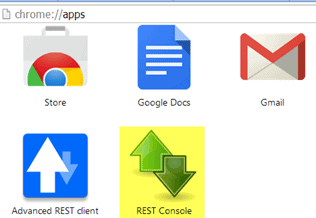 An excellent tool for learning your REST API and doing some exploration on which type of test you want to create – as well as which response values you may need to capture when you start coding your API tests — is a Google Chrome App REST Console. 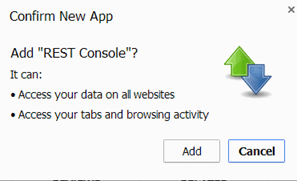 You should see the REST Console app. 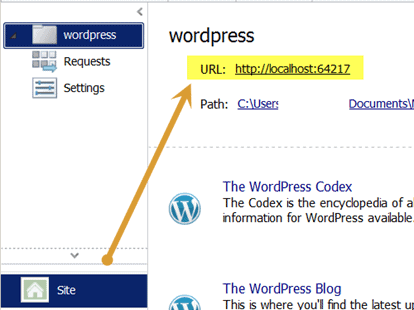 Next let’s check out a simple GET request that we’ll make to WordPress to retrieve details for post 1. If you’ve made the proper pom.xml entries we went over at the top of this post, you should be able to begin using REST-Assured. Now — just to prove that this is really working, let’s force it to fail so that we can be confident that everything’s kosher. Change the Hello world! To Hello JOE! The test should now fail. Also, if you’re familiar with Selenium, REST-Assured can also use hamcrest for testing using hamcrest’s library of matchers for building test expressions. For some reason, that picture of ham has got my mouth watering, but for now this Post should be enough to whet your appetite. Stay tuned for more REST-Assured post as we work our way through some more examples. Good introduction, nice work :) However the idiomatic way to use REST Assured nowadays is using the given-when-then syntax. Hi Johan – I agree – that was going to be my next post:) I had started this awhile ago and did not update the simple example. Your explanation on this rest assured is awesome. 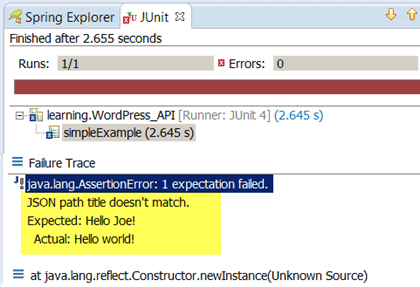 I like so much now I got bit confidence on Rest assured Testing. 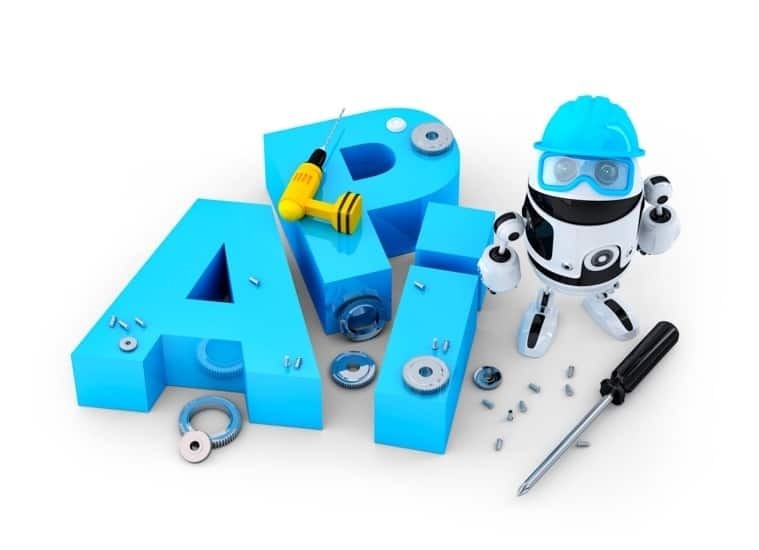 Please can can you cover remaining topics in Rest assured API testing. Thanks – Yes I plan on writing more post on rest-assured this year. I also will be interviewing the creator of rest-assured on TestTalks soon. Stay tuned..
please ..share the framwork with me. 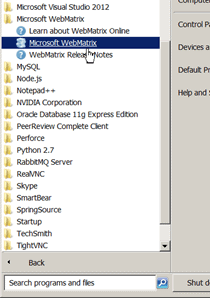 Can you tel me how to do a PUT request using rest assured?? If we need to pass [1,2] as the request and do a PUT request. 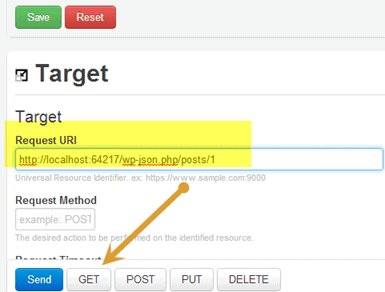 It works perfectly fine when I pass [1,2] in the request payload,request method -PUT and URI using REST console plugin. Please leave the previous issue, I just found a way and fixed it !!! Thanks for the detail explanation. I was able to do as per the above instructions. When i tried it gives in the http format, not able to get the JSON. Request your help. Not sure what error message are you getting? Are on one a company machine that block certain sites? Thanks a lot Joe, you made it sound so simple and straight. Will be trying it out now. Nice Article with good example for practice. Thanks for sharing detail information.